Dr. Lui Hah Wah Elena is the author of .05 Significantly Yours: A Guide to Reflection on Lifelong Learning and Free & Easy: An Interactive Movie Script. She is an associate professor with the Psychological Studies Academic Group, National Institute of Education, Nanyang Technological University. She obtained a B.Soc.Sc. (Social Work) degree from the Chinese University of Hong Kong in 1968, and in the 1980s three post-graduate degrees from Michigan State University, U.S.: M.A. (Ed), Ed’al Specialist and Ph.D. (Curr & Inst). She received the Distinguished Alumni Award from Michigan State University in 1995, and the Public Service Medal (PBM) from Singapore’s President in 1998. 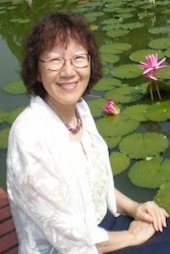 In the past three decades, organisations in which she has volunteered her service include, the Senior Common Room Committees of National Institute of Education and NTU, United Nations Association of Singapore, Fulbright Association (Singapore), Singapore Association of Social Workers, National Council of Social Service, Singapore Professional Centre, Singapore Action Group of Elders and SAGE Counselling Centre, University Women’s Association (S) and the Feedback Group in Education, Ministry of Community Development and Sports.